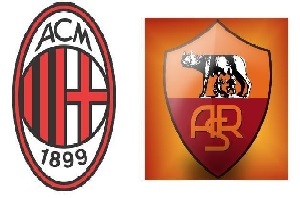 AC Milan will face AS Roma in the last round of Serie A on Saturday. Milan is in the 7th place with 57 points after 37 games played so far. It has been another difficult season of transition for the Rossoneri. Their bad form recently, especially at home where they have three draws and a loss in a row left them with no chances to play in Europe League. Roma on the other hand have closed the gap with Napoli to two points. With 13 wins and 3 draws in their last 16 games, they are hoping to overhaul them and take the second place. It gives them automatic qualification to next year's CL group stage. Roma will be motivated and they are the better side, so I am expecting them to win and eventually to get ahead of Napoli.